When should you change your workouts? Here’s a question I get a lot: “When should I change up my workouts?” My answer: When they stop delivering results. That isn’t the answer most people want to hear, because it’s so simple and direct. The same goes when people ask how much they should be eating, and depending on their goals, I will say more (if they aren’t gaining weight) or less (if they aren’t losing weight). These days people seem to want things to be complicated, when the obvious solutions to many problems are so simple. People like a formula to follow, as it takes out guesswork and also absolves them of responsibility. I can’t tell you how many times I’ve been asked to write workouts and/or diets for people. I know I’m missing out on a very significant extra income by choosing not to do it, but I lack the patience to hold people’s hands. I prefer teaching them how to fish, rather than just giving them fish to eat—if I may borrow that old proverb. Now, I’m not saying that there’s anything wrong with either coaching people that way or paying to be coached in your training and nutrition. I have nothing but respect for the top coaches in the industry, and I know from speaking with clients of people like John Meadows, Dante Trudel, Hany Rambod and others that they do help their clients achieve very real results. Getting back to the original question, how long should you keep doing the same workouts, and how do you know when to make changes? The answer has to flow from your progress or lack thereof. 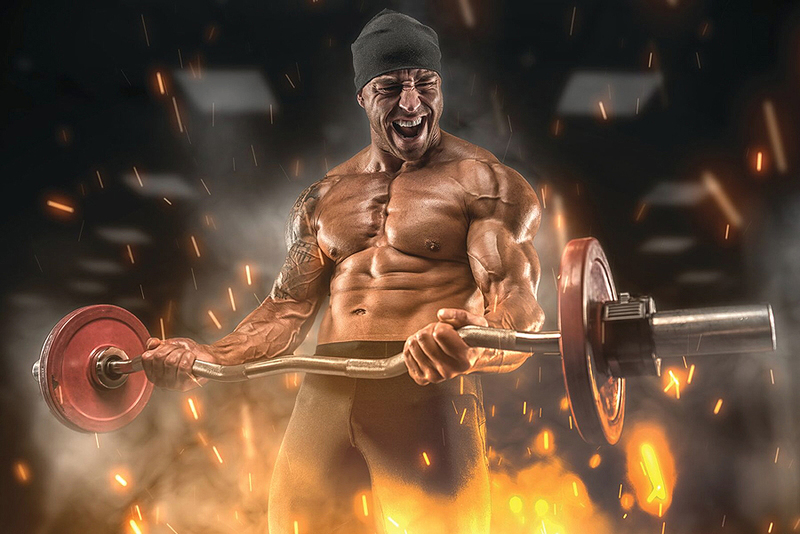 There have been bodybuilders like the great Mr. Olympia champions Ronnie Coleman, Dorian Yates and Lee Haney whose workouts changed very little for many years while they continued to grow and improve. Ronnie in particular was Mr. Groundhog Day. He has stated many times that his training routine from the time he began competing in 1989 until he retired in 2007 was virtually identical in terms of how he split up his bodyparts, the exercises he performed and the rep ranges he used. Ronnie didn’t need to change anything at all. Nothing was broke, so there was nothing to fix. Contrast that with most of the other guys you see in gyms all over the world who do the same thing. Anyone who has belonged to a gym for a period of years has observed the phenomenon of the members who always look exactly the same, year after year. They never get any bigger, their weak bodyparts stay weak, yet they stubbornly insist on repeating the same exact workouts week after week for months and years. It’s been said many times that the definition of insanity is to keep doing the same thing over and over, and expecting a different result. • The style of your sets; that is, straight sets, supersets, drop sets and so on. That said, once you pass the beginner stage of training, which can last anywhere from three months to a year, you are bound to hit a plateau every now and then. When that happens, you won’t get any bigger or stronger for a while in spite of your best efforts and attention to diet and rest. That is the nature of muscle growth. It’s not a straight line but, rather, a jagged path where you will gain for a time, followed by phases of no progress. Looking at that line over the long term, there should be a steady upward progression until you reach your full genetic potential. Few people ever hit that, and for those who do, it typically takes at least 10 years of consistent hard training and good eating. Many times it can take twice as long or even longer, as it has for me. We all need to pay attention to our results. If you still seem to be moving forward and growing, there’s no need to change a thing about your training. It ain’t broke. If you can objectively evaluate yourself and you have not made any gains in many months or maybe even many years, it’s high time you made some changes.